Stepping Into internships are typically held over the winter and summer breaks each year, so opportunities are advertised in the months leading up (usually March for winter opportunities, and September for summer opportunities). To keep up to date with the latest opportunities, join our mailing list or like Stepping Into on Facebook. As with any job opportunity, the first step is to submit an application for the role you’d like to be considered for. You will need to provide a cover letter outlining your interest, your resume, your academic transcript and proof of eligibility (see eligibility requirements). 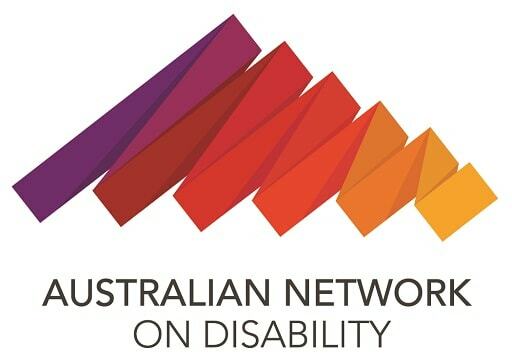 You will then be invited to participate in a briefing session with the Australian Network on Disability (AND). The briefing session is an opportunity to learn more about the program, the role you have applied for, and gain some helpful advice on how to get the most out of your internship. This session also forms part of our screening process, so it is important to come prepared to talk about why this position is right for you. AND is responsible for shortlisting candidates for the interview stage with each employer. You will be advised by AND whether you have been shortlisted for the role as soon as possible once applications close. If you have been shortlisted, the next step is to attend an interview with the employer. If you are successful in gaining an internship, AND will offer support and guidance throughout the course of your placement. Training will also be provided to your direct supervisor on how to best support you in the workplace. Most of the internships require students to be Australian citizens or permanent residents. Some employers will accept applications from international students with working rights, verified by a current VEVO. Please check the eligibility criteria for each employer before submitting an application. Preference will be given to applicants who have not applied for or participated in the Stepping Into program previously. Can I apply for any of the available positions or is it degree specific? The internship you wish to apply for must be relevant to your degree (unless otherwise specified). The opportunities are designed to provide students with a hands-on work experience in the field of their related area of study. Disciplines are listed next to each position description. This may help you determine if your studies are relevant and suitable for the given role. I'm a post-graduate, can I still apply for Stepping Into? If you are doing a post-graduate degree, you most certainly can apply for an internship. Just check out the listing of available opportunities to see if there are any positions that are relevant to your degree. It is important to check the eligibility requirements of each employer before submitting an application in case the positions are reserved for undergraduates only. What relevant disability/medical documentation do I have to supply with my application? Examples of medical/disability documentation include a document from your disability officer at university stating the adjustments the university has in place for you, or medical certificates from your doctor or other health professionals. Do I need an official academic transcript for the application? If you cannot get an official transcript, then a verified 'unofficial' transcript is fine. Many students have submitted an online print-out of their transcript, and have it stamped by their Student Centre for free. An academic record from your student portal will also suffice. Do I have to share information about my disability? Stepping Into is a program specifically designed for students with disability, therefore a small group of employees who have been involved in the recruitment process will be aware that you have disability. However, they will not be aware of any details regarding your disability, just the workplace adjustments that you may have recommended. Sharing information relating to your disability is always a personal choice. When you submit your Stepping Into application to the Australian Network on Disability (AND), the disability Information section is removed prior to your application being sent to potential employers. This information remains with AND, so that we are aware of the nature of your disability and can better assess what types of workplace adjustments would be appropriate for you if required. For more information about sharing disability information, refer to Western Sydney University’s Disclosure in Study resource. Is there a chance of gaining additional employment with the organisations after the internship? Stepping Into internships run for a minimum of 152 hours (4 weeks, if working full time). However, many employers have extended the internships for previous interns, based on work performance, feasibility and demand. We have had interns who have received graduate employment as a result of their Stepping Into internship, and employers encourage interns to ask about recruitment pathways if interested in ongoing employment. Can I apply for an internship in a different state to where I live/study? You may apply for an interstate internship if it is appropriate for you. However, costs associated with travel and accommodation for you to relocate interstate for the period of the internship will be at your own expense. If there is more than one opportunity you are interested in, you can most certainly apply for more than one. As each job is different and different employers are involved, you need to submit a separate application for each job you want to apply for. However, it is likely that you will only be put forward for one internship initially. When can I expect to hear about the outcome of my application? Once all applications are received, you will be invited to a briefing session in your city or via Skype (depending on availability). At the briefing session you will learn more about the program, find out about the application, short-listing and selection process, and will be able to raise any questions or concerns. It is a requirement that AND meets the applicants before they are to be put forward to the participating organisations. After this, if you are shortlisted, it is the responsibility of the employer to contact you. If you are unsuccessful, we will get back to you once applications for all internships have closed. I'm an international student. Can I apply for an internship? This will depend on the internship that you are applying for. Many internships require applicants to have permanent residency or citizenship. However, some employers will accept applications from students with international working rights. You will be required to provide a current Visa Entitlement Verification Online form when applying for positions. Please check the eligibility criteria for each internship before submitting an application. Applications open for the summer program between August and October. For the winter program, applications open between March and May. For information on current opportunities, visit the Australian Network on Disability’s (AND) website at and check out the Stepping Into page. If there are no current opportunities listed, you can sign up to our mailing list to be advised of relevant opportunities as they become available.